Yesterday my mom got home from a vacation in China. She went with my Aunt and some friends; my dad stayed home. She kept us posted every day via email. Facebook is blocked in China, but her emails came in steadily with pictures attached. In one email from Beijing, she said that the following day they were flying out to see the famous Terracotta Army. Even my dad was impressed. “Did you read that your mother is going to see the Chocolate Warriors?” he asked me. Terracotta dad, not Chocolate! 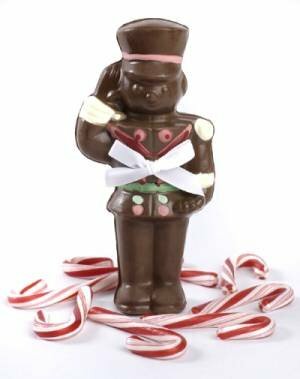 Although a Chocolate Army is one I wouldn’t mind sinking my teeth into.